Clive Daniell is a qualified electrical engineer with more than 30 years of experience in the medical imaging field. He started his career with Siemens Medical where he trained as a CT, MRI and X-ray technician. In 1996 Clive shifted his focus to PACS, RIS and Information Management systems. He was responsible for the implementation of the first digital department in South Africa at Little Company of Mary Hospital in Pretoria. 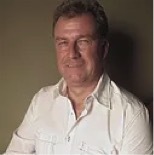 In 2006 Clive started his own consulting company to offer an independent view on PACS and RIS in Africa. Clive has also been involved in many training initiatives, including organizing the 1st and 2nd African PACS, RIS Edu-conferences held in Cape Town and Johannesburg in 2009 and 2012 respectively. Clive is the founder of In2pacs and the In2pacs Academy. In a recent post on LinkedIn, Daniell explained why he chose to pursue the PARCA certification. PARCA eNews talked with him about that decision to get his perspective of the value of PARCA and certification for PACS administrators and other healthcare IT professionals. PARCA eNews – April 1, 2017 – The PACS Administrators Registry and Certification Association (PARCA) has announced a new certification for PACS and IT professionals. The new DICOM certification will replace the Certified PACS Interface Analyst (CPIA) certification and will more specifically focus the course material and the exam on DICOM, the international standard for Digital Imaging and Communications in Medicine. 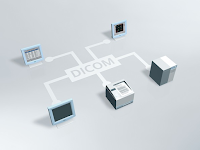 Charles Willis, PhD, DABR, president of PARCA said it was time to add a certification focused on DICOM.